I had a great T Day, same as always, great food, cooking it overnight in a smoker (I wasn’t part of it, but was around at the time), games, family, planning black Friday (family was not me) finding out Christmas presents ideas, listening to endless complaints about how T Day is not T Day anymore, but “pre-christmas” – you know, the normal things. Getting home, having to work & then getting the house back in order has been a little bit of the weekend. I personally prefer to work during black friday, which is okay, but makes the drive to work a little more busy. Then I got sucked into a new present, which was given to me wednesday morning. So I went back to tradition. sat down in front of the TV and didn’t surface for much of 2 days. So I didn’t participate in Sandy’s AntiBlackFridaySewIn either, although I thought it was a cute idea. 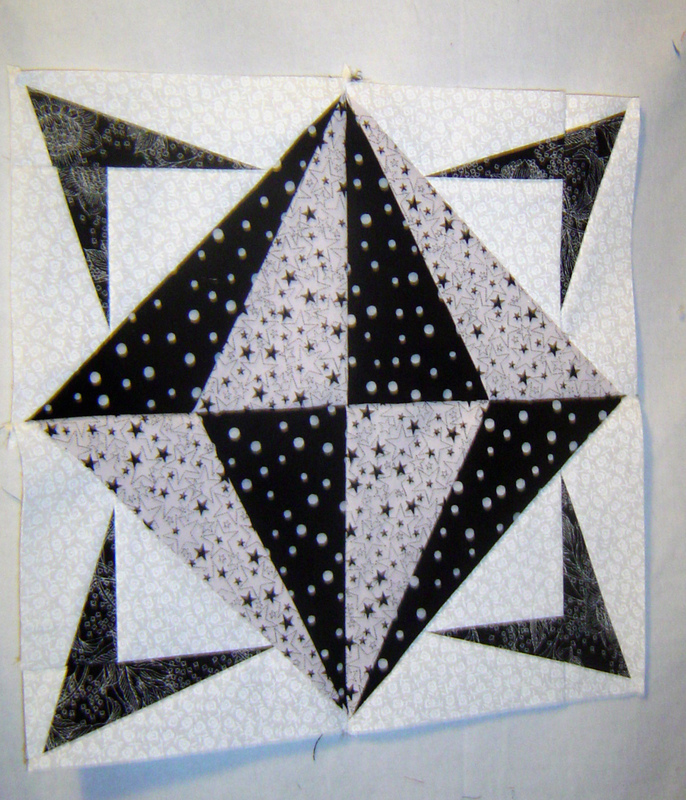 I did have a hard deadline on a quilt block, so I did squeak this out. I was intending to make this pattern for ME, but because of circumstances beyond my control, I haven’t done it yet, and this pattern was all cut out (three times) and so, it became a block for the person who is my partner on swap bot. It’s called Utah Sparkler and I found it on Quilter’s Cache. And then today in between laundry loads and food cleaning & prep I got out my book of quilting designs and made the design for the table runner for the giveaway from October. And one with a start of a little more detail that I may try to put in the quilt. 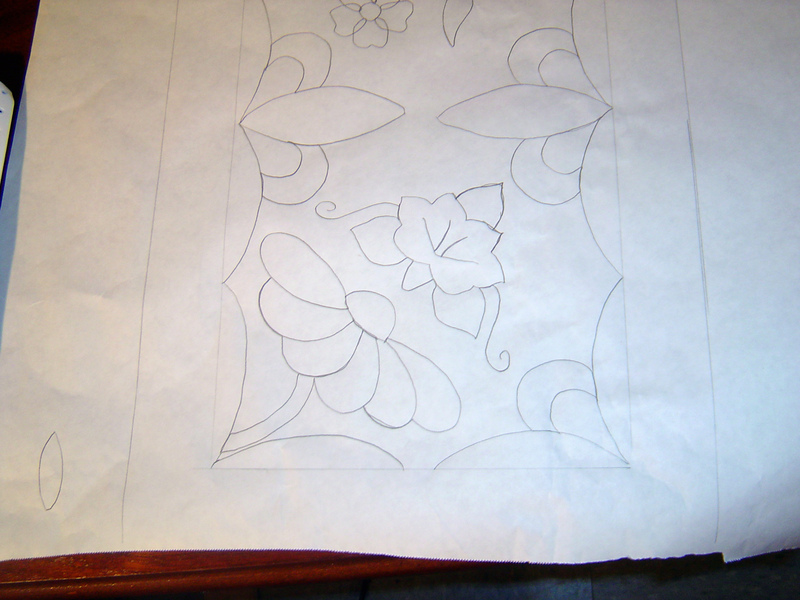 I still have to consider the borders, and then I have to practice & transfer this to the fabric (or just iron on and sew through – this is on freezer paper). 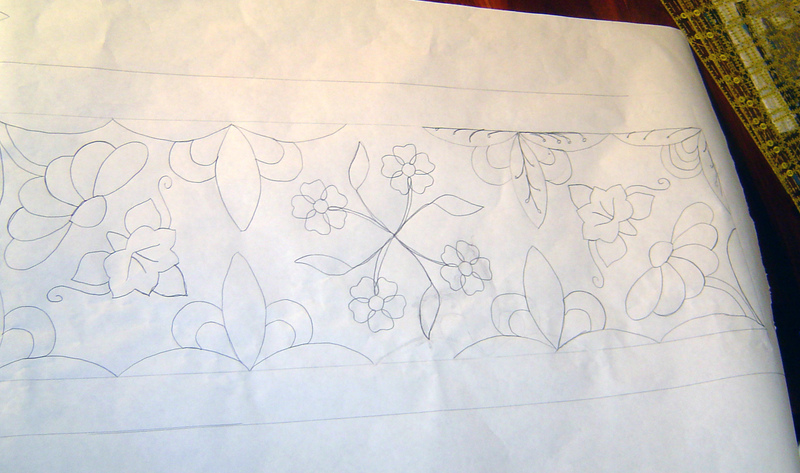 Hopefully I’ll be able to make the quilting look as smooth as this drawing! 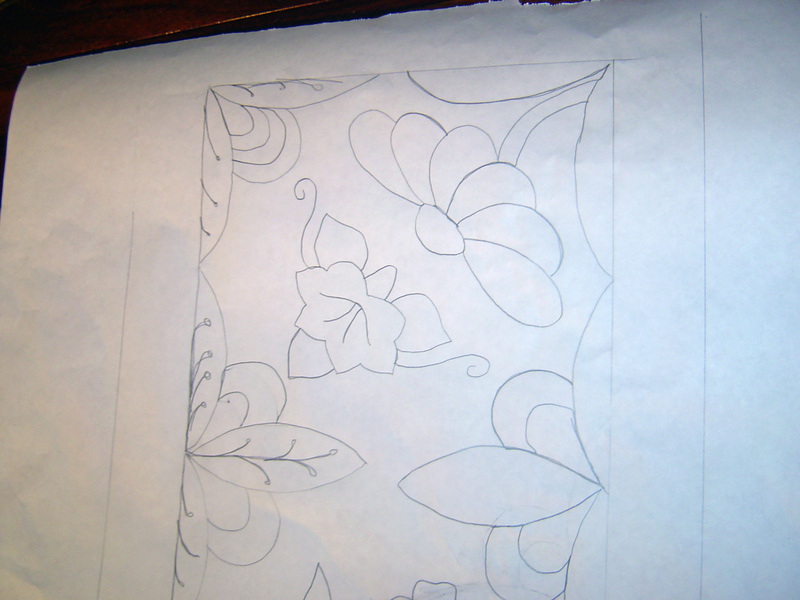 Love my book 501 quilting designs, that’s where these ideas come from. A great starting point, I can’t recommend it enough for a quilting reference book! Now to be settled on the borders for this quilt. Something to contemplate before bedtime! Good night everyone!